(Bloomberg) — South Africa’s lawmakers will deliberate on a draft procedure relating to the removal of a sitting president of the country. The move follows a December ruling by the nation’s highest court, which said that the National Assembly failed to hold President Jacob Zuma to account as required by section 89 of the country’s constitution. A subcommittee will meet on Jan. 10-11 to discuss the matter, the parliament said in a statement. Once the draft procedure is finalized by the subcommittee, it will be sent to the house of parliament for debate. (Bloomberg) — South African President Jacob Zuma will face a fresh bid to force him from office when the ruling African National Congress’s top leadership meets this week for the first time since he relinquished control of the party to his deputy Cyril Ramaphosa. A proposal to order Zuma to step down before his term ends in 2019 will be discussed at a Wednesday meeting of the party’s National Executive Committee in the southern city of East London, according to three members of the panel who spoke on condition of anonymity. Zuma’s scandal-tainted tenure has eroded support for the ANC. The NEC’s 86 voting members are divided into two loose factions — one that backed Ramaphosa, 65, to take over as party leader at the ANC’s national conference last month and another that’s allied to Zuma and favored his ex-wife Nkosazana Dlamini-Zuma to succeed him. Ramaphosa won the contest with just 52 percent of the vote, giving him a tenuous hold over the party, and it remains unclear where exactly the balance of power lies within the panel, which usually takes decisions by consensus. Sitting President. 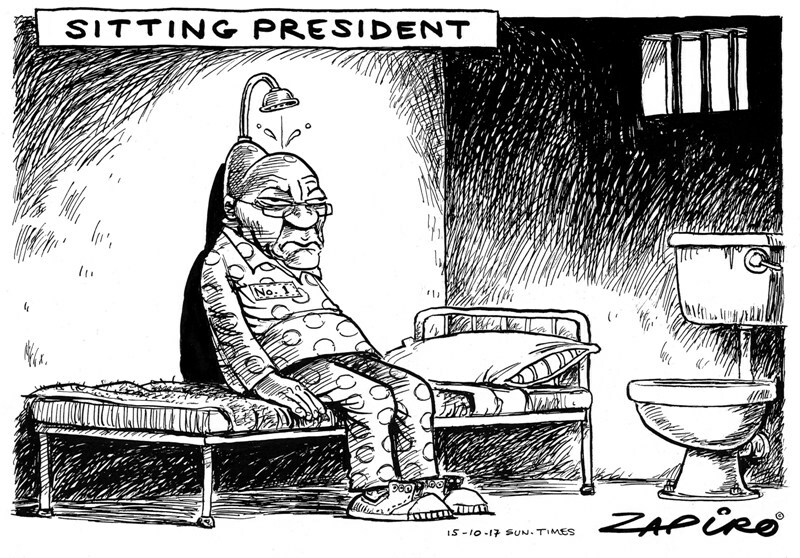 More of Zapiro’s cartoon magic available at www.zapiro.com. The ANC’s former head of intelligence, Zuma, 75, took office in May 2009 just weeks after prosecutors dropped graft charges against him. He’s spent years fighting a bid by opposition parties to have those charges reinstated and fending off allegations that he allowed members of the Gupta family to influence cabinet appointments and the award of state contracts. While unsuccessful bids to oust Zuma were made at NEC meetings in November 2016 and March last year, a number of its members have changed since the elective conference in December. His second and final term is due to end around mid-2019. ANC spokesman Zizi Kodwa said the NEC meeting agenda had yet to be determined, but the issue of Zuma’s early departure could be raised. “There are no no-go areas in that meeting,” Kodwa said by phone. 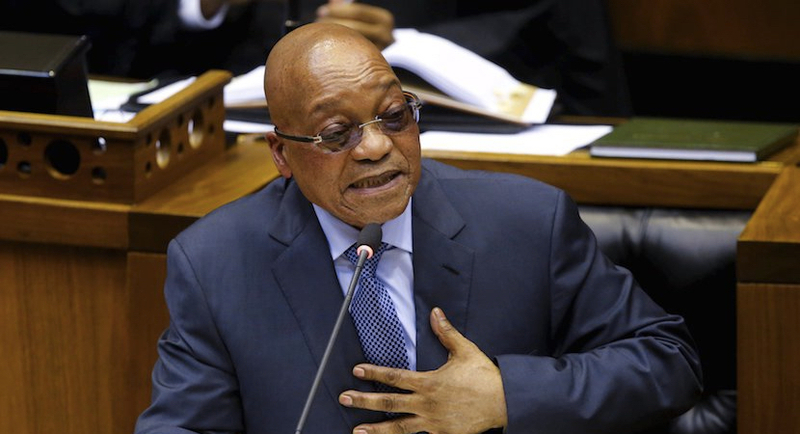 Darias Jonker, an Africa analyst at risk-advisory firm Eurasia Group, expects Zuma’s ouster to be delayed until the second quarter of the year even though his continued presence in office may hamper the ANC as it gears up to contest elections in 2019.